Church leaders convicted of lesser charges. 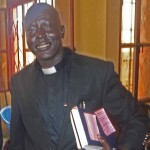 JUBA, South Sudan (Morning Star News) – Two South Sudanese pastors on trial in Sudan for crimes calling for the death penalty were convicted on lesser counts today and released on time served, sources said. The Rev. 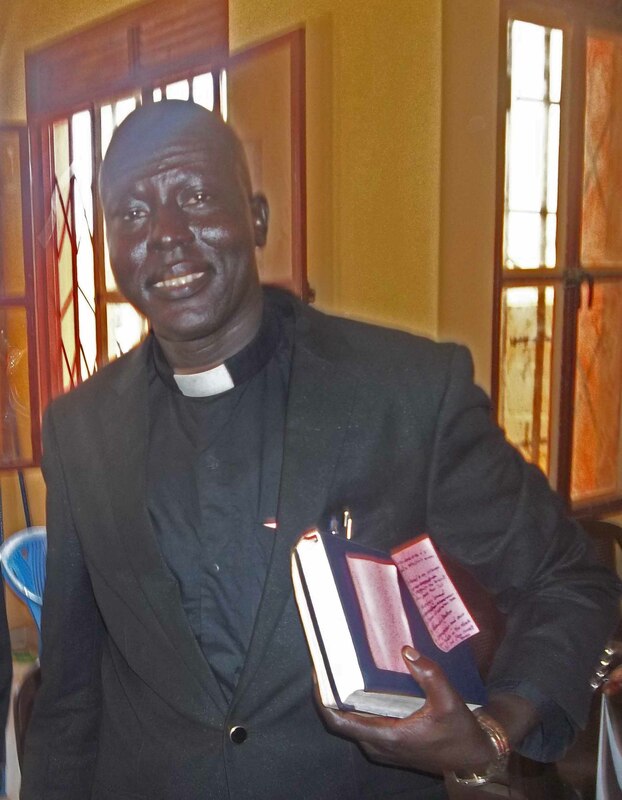 Yat Michael, 49, was convicted under Article 69 of “disturbing public peace,” a defense attorney said, for delivering a message of encouragement to a North Khartoum church in December 2014 in the face of a government-aided take-over of the congregation’s property. The Rev. 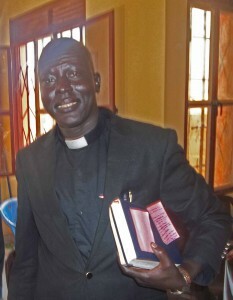 Peter Yein Reith, 36, was convicted under Article 65 of “establishing or participating in a criminal organization,” the attorney said, following his Jan. 11 arrest for submitting a letter from leaders of their denomination, the South Sudan Presbyterian Evangelical Church (SSPEC), inquiring about the whereabouts of Michael. Michael had been arrested following his homily on Dec. 14. An international outcry erupted over their weeks-long incarceration without charges after Morning Star News on Dec. 28, 2014 broke the news of Michael’s arrest, and on Jan. 20 published the first account of Reith’s arrest. The wives of the pastors expressed their happiness. Inciting hatred among or against sects (Article 64 of the Sudanese Penal Code) is punishable by up to two years in prison. Disturbance of the public peace (Article 69) is punishable by six months of prison, or a fine or no more than 20 lashes. The pastors had also been charged with spying (Article 53), punishable by death, life imprisonment or prison and confiscation of property; undermining the constitutional system (Article 50), punishable by death, life imprisonment, or imprisonment and confiscation of property; disclosure and obtaining information and official documents (Article 55), punishable by two years in prison or a fine; blasphemy/insulting religious creeds (Article 125), punishable by one year of imprisonment or a fine or no more than 40 lashes; and joint acts in execution of a criminal conspiracy (Article 21). Agents from Sudan’s notorious National Intelligence and Security Services (NISS), said to be manned by hard-line Islamists, arrested the pastors. The defense had stated that the court should drop charges against the two church leaders due to a critical lack of physical evidence. The Khartoum Bahri Evangelical Church that Michael had encouraged in December was the subject of government harassment, arrests and demolition of part of its worship center as Muslim investors tried to take it over. Police in North Khartoum on Dec. 2 beat and arrested 38 Christians from the church that Michael encouraged and fined most of them. They were released later that night. On Oct. 5, 2013, Sudan’s police and security forces broke through the church fence, beat and arrested Christians in the compound and asserted parts of the property belonged to a Muslim investor accompanying them. As Muslims nearby shouted, “Allahu Akbar [God is greater],” plainclothes police and personnel from NISS broke onto the property aboard a truck and two Land Cruisers. After beating several Christians who were in the compound, they arrested some of them; they were all released later that day. Harassment, arrests and persecution of Christians have intensified since the secession of South Sudan in July 2011, when Bashir vowed to adopt a stricter version of sharia (Islamic law) and recognize only Islamic culture and the Arabic language. The Sudanese Minister of Guidance and Endowments announced in April 2013 that no new licenses would be granted for building new churches in Sudan, citing a decrease in the South Sudanese population. Sudan since 2012 has expelled foreign Christians and bulldozed church buildings on the pretext that they belonged to South Sudanese. Besides raiding Christian bookstores and arresting Christians, authorities threatened to kill South Sudanese Christians who do not leave or cooperate with them in their effort to find other Christians (see Morning Star News). Sudan fought a civil war with the south Sudanese from 1983 to 2005, and in June 2011, shortly before the secession of South Sudan the following month, the government began fighting a rebel group in the Nuba Mountains that has its roots in South Sudan. Due to its treatment of Christians and other human rights violations, Sudan has been designated a Country of Particular Concern by the U.S. State Department since 1999, and the U.S. Commission on International Religious Freedom recommended the country remain on the list in its 2015 report. Sudan ranked sixth on Christian support organization Open Doors’ 2015 World Watch List of 50 countries where Christians face most persecution, moving up from 11th place the previous year. If you would like to help persecuted Christians, visit https://morningstarnews.org/resources/aid-agencies/ for a list of organizations that that can orient you on how to get involved. © 2015 Morning Star News. Articles/photos may be reprinted with credit to Morning Star News. Morning Star News is a 501(c)(3) non-profit corporation that relies solely on contributions to offer original news reports of persecuted Christians. By providing reliable news on the suffering church, Morning Star News’ mission is to empower those in the free world to help and to encourage persecuted Christians that they are not forgotten or alone. For free subscription or to make tax-deductible donations, contact editor@morningstarnews.org, or send check to Morning Star News, 34281 Doheny Park Rd., # 7022, Capistrano Beach, CA 92624, USA.